You ready for it yet? 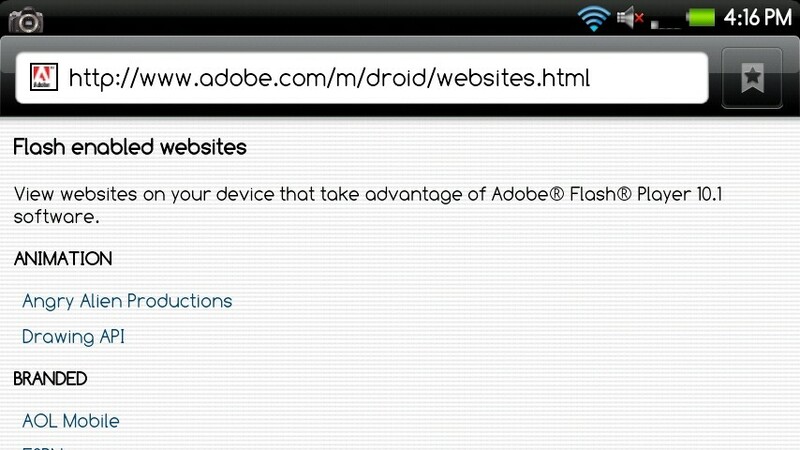 Adobe has released a site dedicated to the Motorola Droid which lists out Flash 10.1 enabled/optimized websites. 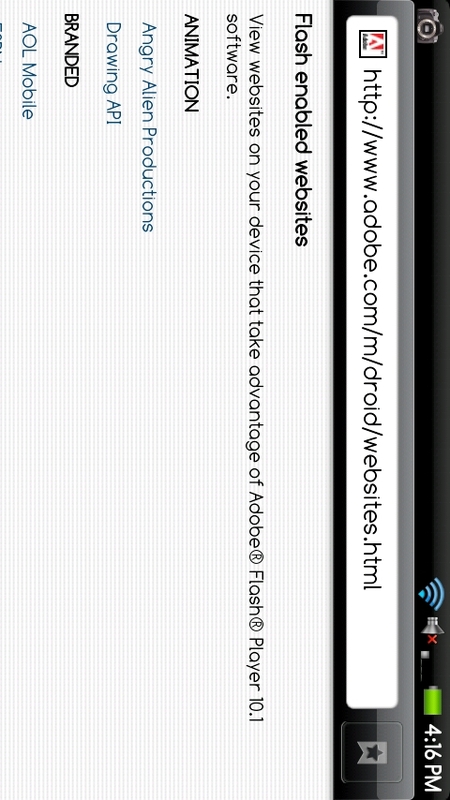 The idea being that once your device has been updated to Android 2.2 with Flash 10.1, you will know exactly which sites can take advantage of your new goodness. There is also a site for the Nexus One which has even more sites listed than our beloved Droid’s which seems a little odd, but we’re not making a stink of it just yet. It should be noted that the Incredible is apparently not included in most of this Android 2.2 talk and you can bet it has to do with SenseUI. Remember this article we wrote on future Incredible updates? We hate being right sometimes.